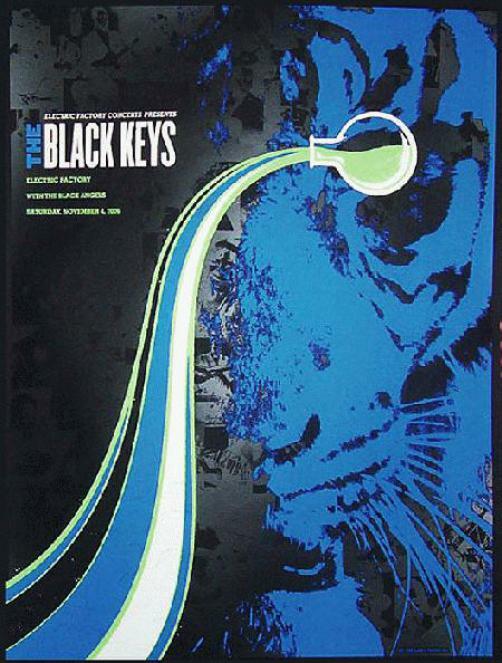 Original silkscreen concert poster for the Black Keys at the Electric Factory in Philadephia, PA. 16 x 24 inches. there is a black varnish layer featuring images of famous blues musicians. Signed and numbered edition of only 200 by artist Todd Slater.